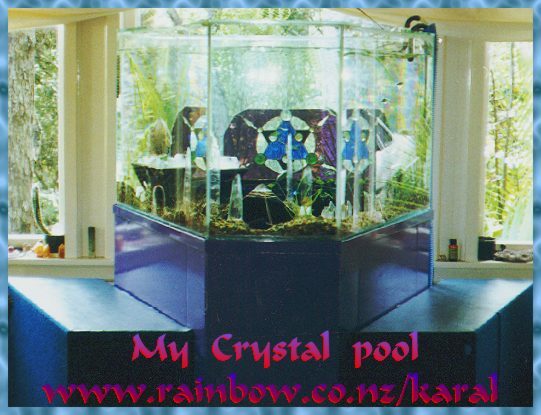 This is a mixed media piece using glass, crystals and a tropical aquarium as it's creative elements. The tank is lit from below so at night the sub-lighting shines up through the glass and stone to provide a stunning effect. Pieces of this magnitude are valued on individual merits and cost of materials used.